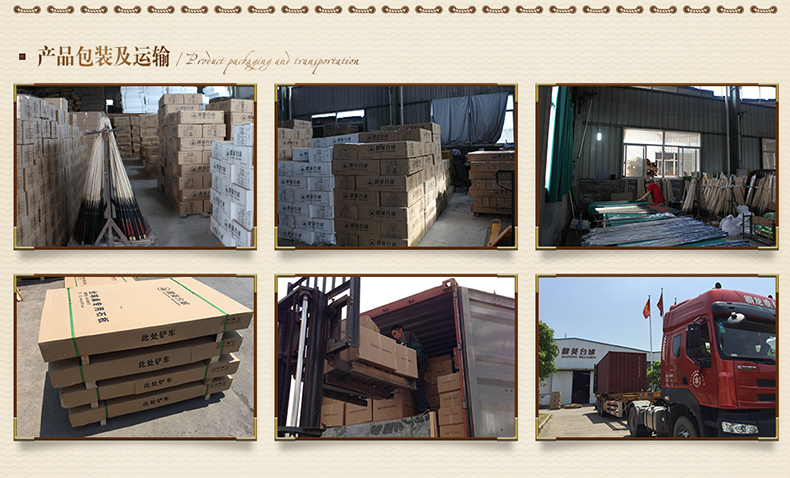 JIANYING BILLIARDS CO.,LTD. 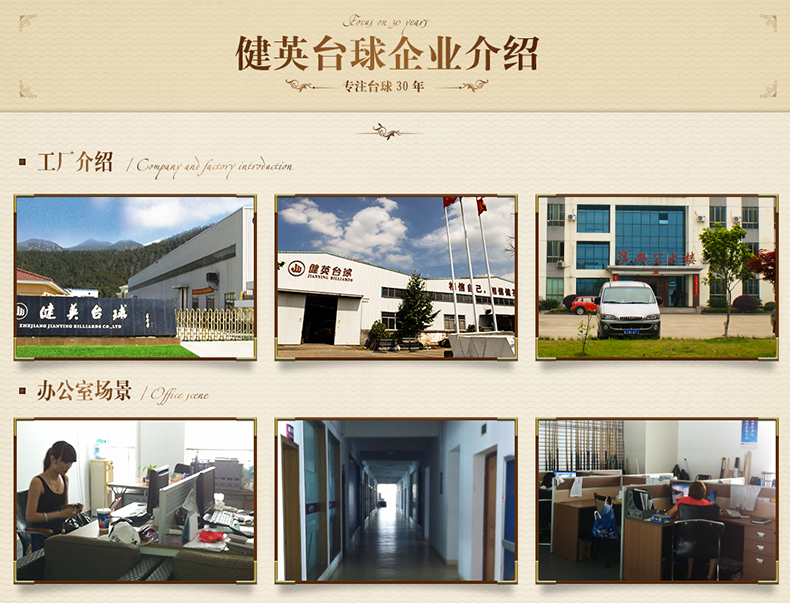 was founded in 1988, is located in the historical and cultural city - Zhejiang Province coastal city, the new factory covers an area of 30 thousand square meters, annual production capacity of 10 thousand pieces, billiards billiards table 1 million, among the best in the domestic counterparts. 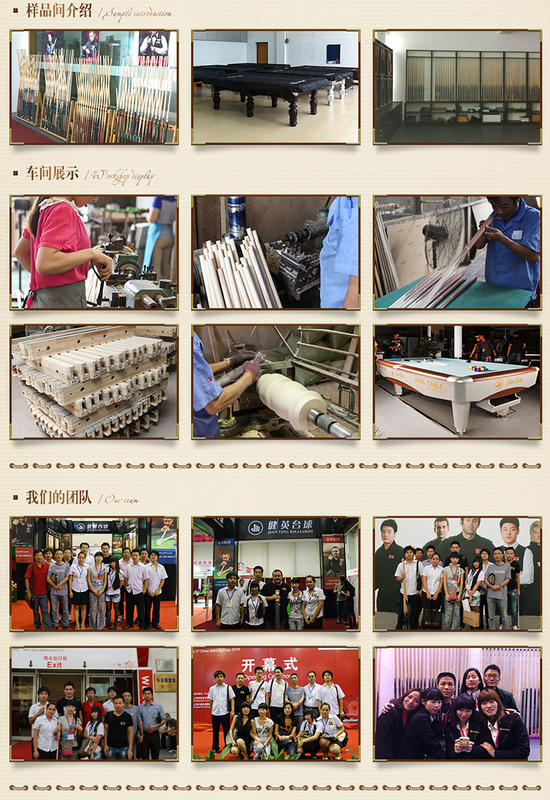 The company has a full set of professional billiards manufacturing equipment, and has a professional and efficient personnel echelon; our product design is novel, the concept of customer demand, favored by customers at home and abroad. In 2007, the company took the lead through the ISO9001:2000 certification, officially became a member of the American Billiards Association (BCA). The 2008 World Snooker Shanghai masters Roewe senior sponsors, the game master designated for the club to provide, WPA2011 world ten ball championship designated by rod. Over the past two decades of development, has firmly occupied the leading position, as one of China's top ten billiards brands, the formation of a mature development system.